One afternoon in Atlanta, Georgia. Two people heading to the altar. One hundred fifty guests. The bride, Elizabeth Gottlieb, proud graduate of the University of Virginia and of Emory University School of Law, member of Atlanta’s wealthy Jewish elite. The groom, Hank Jackson, not a member. Not a Jew. The couple of the hour, however, is beside the point, because We Are Gathered belongs to the guests. Among them, Carla, Elizabeth’s quick-witted, ugly duckling childhood best friend turned Hollywood film scout, whose jaundiced view of the drama that is an American wedding provides a lens of humor and its corollary, deep compassion for the supporting actors who steal the show; Elizabeth’s great-aunt Rachel, a Holocaust survivor from Germany who is still navigating a no-man’s-land between cultures and identities decades after escaping from the forests of Europe; Elizabeth’s wheelchair-bound grandfather Albert, who considers his legacy as a man, both in the boardroom and the bedroom; and Annette, the mother of the bride herself, reminded now of her youthful indiscretions in love and motherhood. Balancing razor-sharp humor with a blunt vision of the fragility of our mortal bonds, Jamie Weisman skillfully constructs a world—and family—that pulls you in and carries you along with its refreshing, jagged beauty. 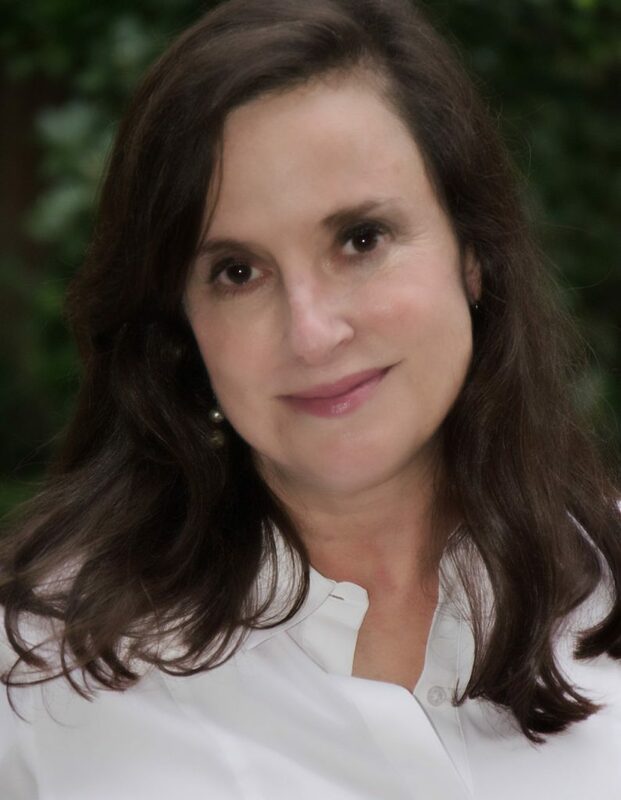 Jamie Weisman is the author of the memoir As I Live and Breathe: Notes of a Patient-Doctor. She runs her own private dermatology practice just outside Atlanta, where she lives with her husband, two daughters, and a brand-new Great Pyrenees puppy. 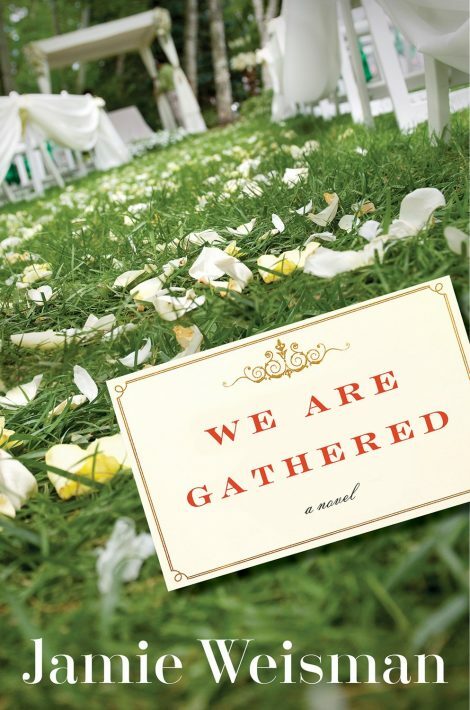 We Are Gathered is her debut novel. There is no justice in this world, and you can start with the simple fact that some people look like Elizabeth Gottlieb. That some people have high cheekbones, wide eyes, long lashes, and look better than the rest of us even after they’ve just come back from running the six miles that they claim exhilarates them. That those people will never sit alone at snack time, will always have a partner for the art project, will turn down at least two dates for prom before going with the person they really want to go with, that they will be given the option of extra credit if they fare poorly on chemistry exams, will be invited to parties, will have youthful flings with movie stars and at least one semi-famous drummer in a band and then marry a good looking guy who wants nothing more than to provide for her into her old age. No justice. None. Stories since the first image was scratched onto the side of a cave have started on the basis of the beauty of women and the courage of men. No amount of surgery, gym time, make-up or designer clothing could ever make me look like my friend Elizabeth, and although you might argue that I contribute to the world in different ways, even more important ways because my SAT scores are higher and the screenplay I will someday write will teach the world about the tragedies of American imperialism or create a radical empathy for the mentally ill, Elizabeth could probably hit the books, study poetry, save orphans, in other words, match my contributions, and raise me one eyelash, and I’d have to fold. She is better in all ways than I, and there is nothing I can do to change that simple fact. But, let me start at the beginning, before we got to this, Elizabeth’s wedding day, when guests are streaming up the driveway, friends of the Gottlieb family in pastel dresses and suits, all too warm for what will be summer weather in spring time. How fitting, though, for spring to bend to summer in honor of the bride, the summer’s day to which Elizabeth can be compared and be found more lovely and more temperate. The scene is not sullied by the sudden honk of a beige van, snorting up the driveway and forcing guests onto the freshly cut grass. Rather, the guests float aside and the van chuffs to a stop, the gentle giant, come to bow his knee to the princess. The van door opens and Elizabeth’s grandma, Bubbie Ida steps out. She was always the prettiest grandmother, and I see she is rocking a periwinkle suit and a diamond broach. She steps forward to receive a kiss from a guest. Bubbie Ida told us to sit with our ankles crossed, not our thighs, to prevent varicose veins. She also said to cover half our plate with a piece of bread and only eat what we could see. That would keep us from getting fat. The side of the van opens, and there is that beeping sound that trucks make backing up as a man in a wheelchair is lowered to the ground on a hydraulic ledge. Ida takes the reins of the chair to push. Propped in the chair is what is left of Elizabeth’s once fearsome and terrifying Zadie, Albert Myerson, once one of the richest man in Atlanta, before he was fair eclipsed by the founders of Home Depot. Bubbie Ida is stopped every few inches by well-wishers. Then she comes face to face with Zadie Albert’s doppelganger, a tiny thread of a man curled into a wheelchair that I at first take for Stephen Hawking before recognizing Jeffrey Wolf, who I did not know was still alive. I heard that Elizabeth’s grandfather had had a stroke. I was always scared of Zadie Albert growing up. They had an overly chlorinated swimming pool, the only one we had access to before the neighborhood ones opened up, so we would congregate there in May, and swim until our eyes turned red. Bubbie Ida had installed a slide, obviously for the use of children, and she made us sandwiches with the crusts cut off, but if you dripped water into the house or splashed the plants in the planters, Zadie Albert would yell. Now he is confined to a wheelchair, his skin ashen and his eyes bruised. I feel pity for him and want to look away, and with the quick drop of my head, eyes shifted to the side with a sudden fascination for something on the ground, I recognize a move people have made in response to my appearance. My mother once called him a small time despot, ruling over the synagogue and his business of — I actually never knew what business he had — just that he was a businessman and rich. Now look at him, boneless, almost skinless, he should be wrapped in cellophane and styrofoam and put in a refrigerated case. So sad and pathetic, the remains of him. Pity, I feel, and a bit of revulsion and fascination, but then the light flashes off the white stubble of his beard and it glistens like spun glass. There is a silk spider web line of drool from the corner of his mouth to his shoulder. He is magnificent, this empty conch of a man, fossilized, museum-worthy, propped in a wheelchair that should be a marble stand. Move over Michelangelo’s David, I give you: Decrepitude. Let me run into the house now, find a bathroom and a mirror. Stare at my own face, and title it, not Decrepitude. Let me think. Is there an equally weighty word for not quite right? Not so obviously wrong as a human being with three eyes, or one, Cyclopic, not a monster, but a mistake. I give you: Abnormality. Anomaly. Deviance. Oddity. Portrait of the artist as a high school loser. I had a port wine stain covering half of my left cheek, encircling my left eye like a claw, extending down my neck and no, to all the people who have asked or imagined, not touching the breast. Because of the port wine stain, I had a limp. The blood vessels erupting on my face were buried in my leg, but they made the right leg fatter and longer than the left. It was corrected in childhood with a surgery that involved breaking and fusing my femur. I spent the summer between first and second grade recovering from the surgery. The legs are the same length now, but the limp is incurable. Despite years of braces and orthopedic shoes, it cannot be fixed. Since infancy, I have worn glasses, though there are corrective lenses for the right eye only. The veins have smudged my vision in that eye, though my parents reminded me it could be worse. The first specialists told them I would be blind and have seizures and perhaps mental retardation. It was a good thing my father was a doctor. He took me to Boston Children’s, and we met Doctor Lloyd Hartman. He should have been a cardiologist with that name, my dad never tired of saying. Dr. Hartman told my parents I would not be retarded, and I would not be blind, but there was no fixing the port wine stain. It went too deep. My baby pictures are hideous. I was a fat multi-colored gargoyle with an eyepatch and a swollen cheek. One day, I tore the pictures out of the photo album, ripped them to shreds and threw them away. When my mother found them, she showed the confetti to my father, and my father knocked softly on my open door and came into my room. I was ten years old. I was reading a book, book reading being the refuge of many of the deformed and untouchable. He put his hand on my cheek. He said, beauty is as beauty does. He told me I was beautiful and one day everyone else in the world would see what he could see. For his sake, I did not cry. I stared at the pages of my book. Marcia Brady is the pretty one. Cindy is cute. Everyone finds Jan, with her glasses and big teeth, annoying. At ten, I knew how the world worked.